In today’s modern world, the use of technology has changed people’s views of business, entertainment, and how everyday interactions between people are perceived and interpreted. For example, the concept of online dating provides singles with technology to find their true love. 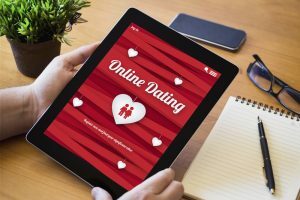 Sites like Bumble, OkCupid, Zoosk, and Match.com provide singles around the world with an algorithm that systematically narrow down the pool based on location, age preference, and personality. In fact, online dating has become one of the most popular ways for singles to meet one another. It’s so simple that most people don’t think twice when answering the questions, writing a bio, or choosing a profile picture. But if all of these decisions have a direct correlation to the finding the one, shouldn’t these steps be taken seriously? Depending on the site, some of the questions may be deep or harder to answer. For example, “do you believe in the death penalty?” or “are you more spiritual or religious?” Of course, it is up to you if you choose to answer. But answering these tough questions will give others insight into who you are. Some might find those qualities appealing and strike up a conversation. There is no downside to answering all questions so be brave and answer a few from time to time. When writing your bio, it is essential that “long walks on the beach” and “watching the sunset go down” aren’t mention. These tired and overused phrases are merely not a conversation starter. In fact, if used they make a profile look lazy and uninteresting. In a good bio, at least one or two conversation starters are mentioned. Conversation starters can vary from hobbies, music preferences, and even genres of movies. Writing a bio can be intimidating but all is needed is a few sentences describing yourself and what you like. While that may be difficult in itself, try thinking about your hobbies. Write those down and maybe how long you’ve been interested in or playing a particular game or sport. Having a few hobbies in your bio will allow other people to start to get to know you and what you like. In fact, hobbies are a great conversation starter! Honesty is vital in online dating, but not everyone can be trusted to do the same. Dishonesty commands the online world because of one key factor, fear. Some people are afraid others will not like or appreciate their true self. In order to get the best results out of online dating don’t try to alter your photos or pretend to like an activity or sport you have no interest in. Be yourself, and you will find someone who loves you for who you are. While some people rather depend on their general attributes to set them apart. It is essential to be specific about who you are, what you do, and what you’re looking for. If you are only looking for a friend on these sites, then a bio is a perfect place to state that information. As well as a current job. If you have a strict schedule, you might want to indicate it as not all men and women want someone with a harsh schedule. In addition, a bio is a perfect place to tell people if you have kids. While this detail is up to you to decide to divulge, however, knowing the age of the child and how many children will allow others insight and allow them to evaluate if they can handle the situation. One of the worst mistakes made on a profile is making negative statements about others, yourself, or the world. Online dating is a world for possibilities not for pessimistic outlooks of the future. Baggage should not be thrown into the bio, or responses to questions. Generally, people do not want to be with someone who insists on talking harshly about their ex, family members, teachers or a stranger. So the next time your thinking about ranting stop and think, does this look good? While grammar these days is not always up to par it is crucial to make an effort. Some people hate simple grammar mistakes, and that’s why it’s vital when trying to impress someone online whether business related or for personal matters that grammar and spelling are always checked. You can use spellcheck or a favorite app like Grammarly to check your grammar and possibly improve on it. Having proper grammar displayed through a text or a note showcases that the person who wrote it for you spent time and energy thinking about the specific words and phrases. If you’re still having trouble writing a bio you can always ask your friends to help you write one. They may have a different insight into you or have a different perception of what looks good. Therefore, you can have a more dynamic profile while still being you all at the same time. 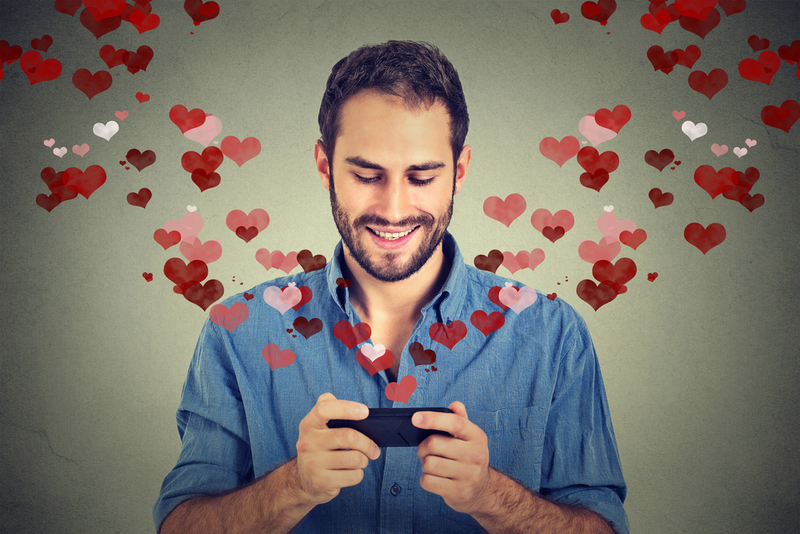 Another misconception about online dating is smiling is often looked as taboo. However, smiling in photos presents the idea of a kind, well rounded, beautiful or handsome person. While some people crop their heads out of the picture altogether and only leave their body as the primary focus, some might take it for what it is, but more people are attracted to a pretty face than a nice body. So get out your selfie stick people and say cheese! Do you have a lot of friends? Do you take a lot of pictures with them? One of the biggest mistakes you can make is choosing a profile picture where your friend is more the focus than you are. It’s your profile picture pick a selfie and make it look good. The other images you choose can have friends in them but make sure you stand out if your friend loves the camera don’t choose one where you’re in the background. Choose photos that you like not ones that you are nervous about people seeing. Well, what are you waiting for? Get to swiping and matching!